A large range of LED lights suitable as bathroom ceiling lights, LED garden lights, LED ceiling lights and many other uses. They stock a good selection of LED bulbs including GU10 LED, E27 LED and MR16 LED. They can also supply LED Strip Lights. For the most economical LED lights choose downlighters suitable for a number of different uses. 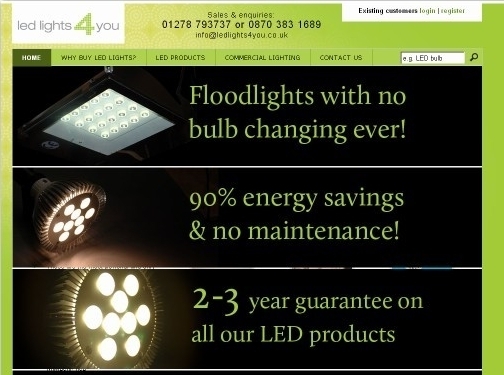 UK (Burnham-on-Sea) based company offering LED lights for sale. Website includes e-commerce facilities, delivery and returns information, terms and conditions, full company contact details.